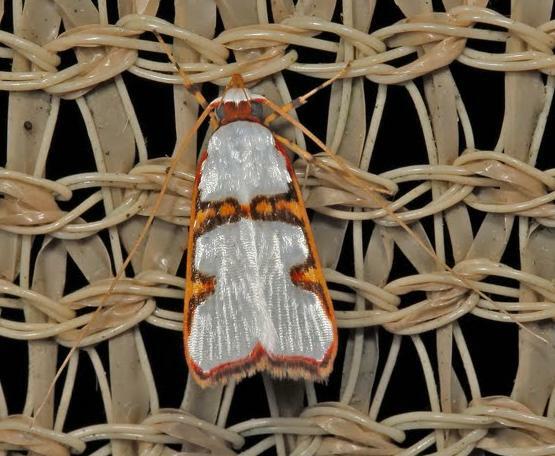 The adult moth of this species has sivery white forewings, each having orange markings outlined in brown, and a redand orange line along the costa and margin. The hindwings are white with brown wingtips. The wingspan is about 2.5 cms. LeapFrogOz, Kuranda, 2015, p. 51. Volume 29 (1917), pp. 100-101. A Guide to Australian Moths, CSIRO Publishing, 2007, p. 80.